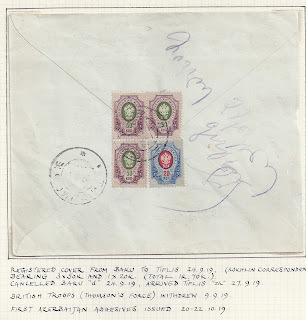 The cover below is from independent Azerbaijan, but a month before Azerbaijan's own "Musavat" stamps appeared. 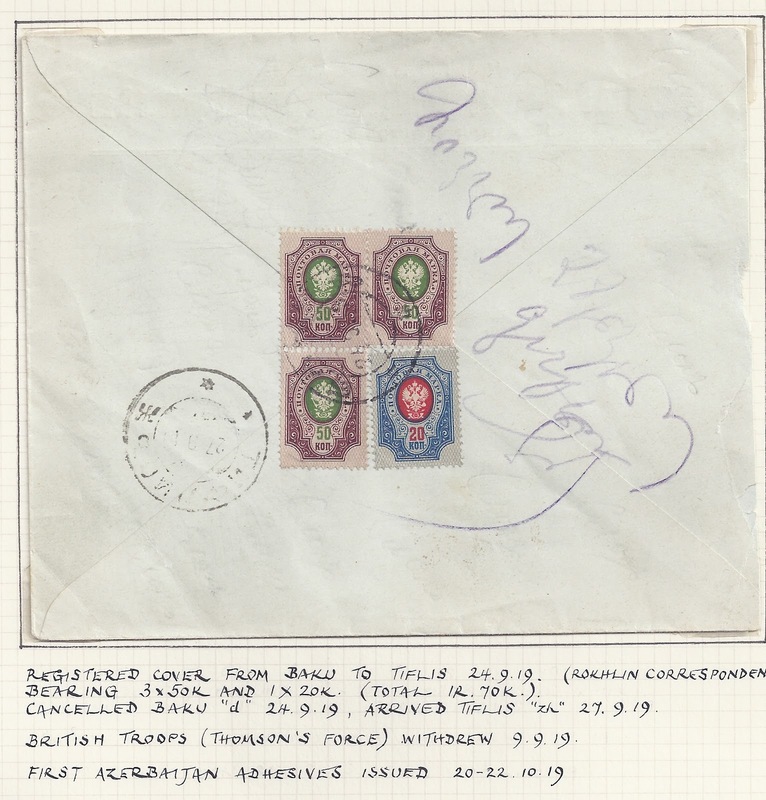 It was registered from Baku on 24 9 19 and arrived in Tiflis on 27 9 19: it would have been carried on the Baku - Batum railway. 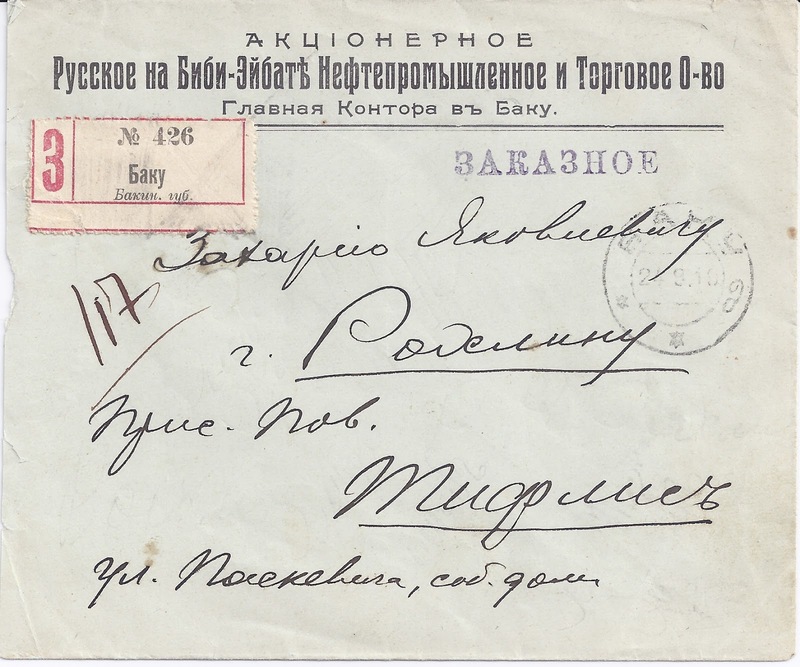 The already-high franking of 1 rouble 70 kopecks is worth noting. 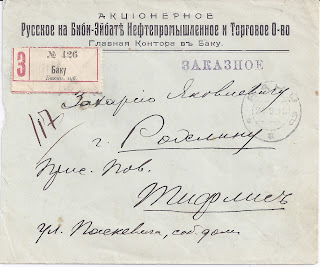 It is a business letter with no philatelic inspiration but is sent to a member of the Rokhlin family [see previous Blog], in this case Zachary Jakovlevich Rokhlin- who I think was Serge Rokhlin's father.